Torrens, H. S. 2009. James Buckman (1814–1884): the scientific career of an English Darwinian thwarted by religious prejudice. 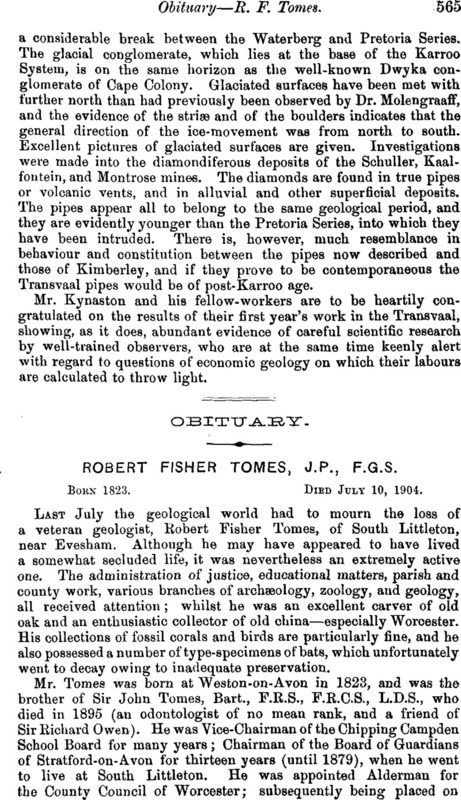 Geological Society, London, Special Publications, Vol. 310, Issue. 1, p. 245. Robert Fisher Tomes, J.P., F.G.S.